C&O Guest House Lisbon v Lisabon, Portugalsko: Zarezervujte nyní! 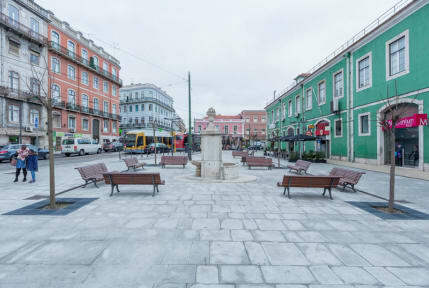 C&O Guest House Lisbon has a great transport location with access to the Lisbon City Centre and Belem historical site. This property offers stylish Portuguese Vintage interior with full package of free tourist facilities. Couples and families particularly like the location close to the bus, train and metro stations. All rooms are equipped with free Wi-FI and flat-screen TV. All rooms are equipped with air-conditioner. Some rooms have a private bathroom, and some have access to shared bathroom facilities. 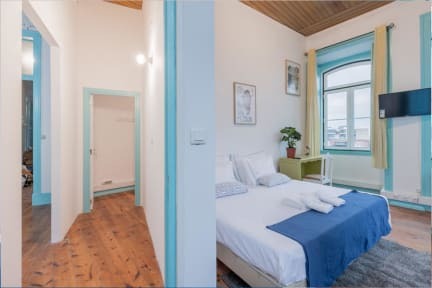 The interior of the Guest House was inspired by Atlantic Ocean with blue-white colours and Vintage decorations. In our kitchen you will always find washing machine, free snacks, kettle, coffee, tea and other self-catering units. C&O Guest House Lisbon features certain rooms with city views.